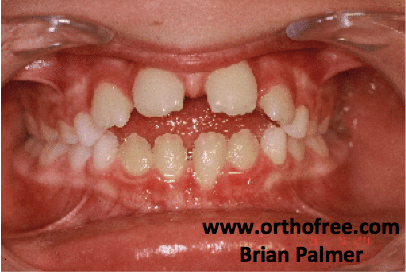 In this article, this is the first collaboration with www.Orthofree.com, tackling one of the oral habits in children which is tongue thrusting explaining its definition, causes, consequences, treatment and ending it with some case reports. Tongue thrusting, is the habit of placing the tongue in the wrong position during swallowing. 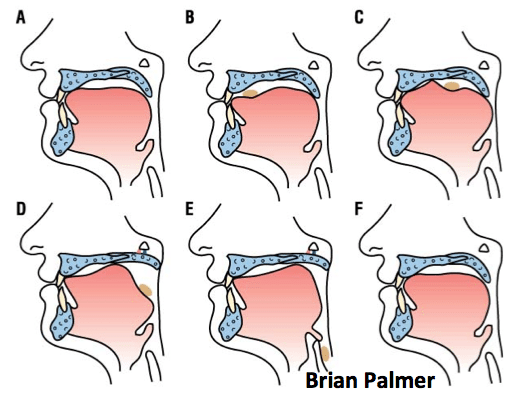 To understand how swallowing occurs, make the sound of the letter “N”, you will notice the placement of the tongue behind theupper central teeth. That placement of the tongue is the first step in swallowing naturally in adults. Tongue thrust (also called reverse swallow or immature swallow) is the common name of orofacial muscular imbalance, a human behavioral pattern in which the tongue protrudes through the anterior incisors during swallowing, speech, and while the tongue is at rest. Nearly all young children exhibit a swallowing pattern involving tongue protrusion, but by the age of six most have switched to a normal swallowing pattern. People who tongue thrust do it naturally and are usually unaware of the behaviour. 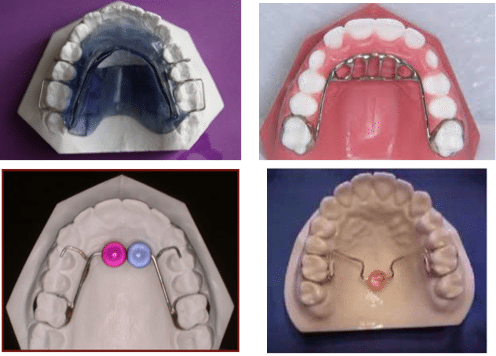 While identifying the causes of tongue thrust, it is important to remember that the resting posture of the tongue, jaw, and lips are crucial to normal development of mouth and its structures. 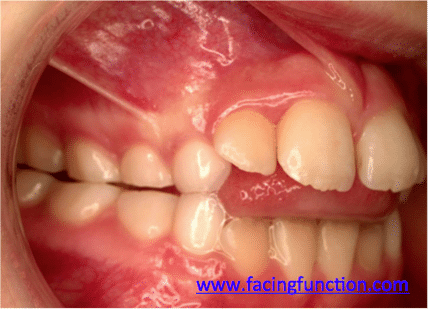 If tongue rests against the upper front teeth, the teeth may protrude forward, and adverse tongue pressure can restrict the development of the oral cavity. The tongue lies low in the mouth or oral cavity and is typically forwarded between upper and lower teeth. If tongue thrust behavior is not corrected, it may affect the normal dental development. 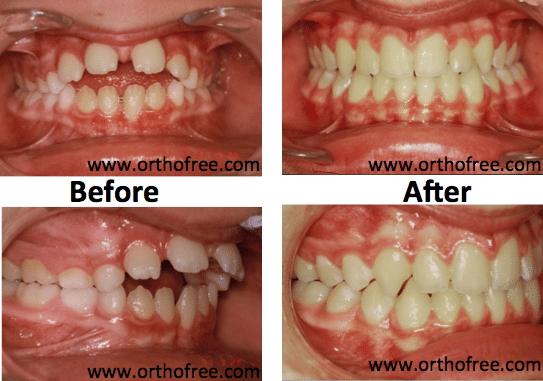 The teeth may be pushed around in different directions during the growth of permanent teeth. Anterior open bite: The most common type of tongue thrust. In this case, the front lips do not close and the child often has his mouth open with the tongue protruding beyond the lips. 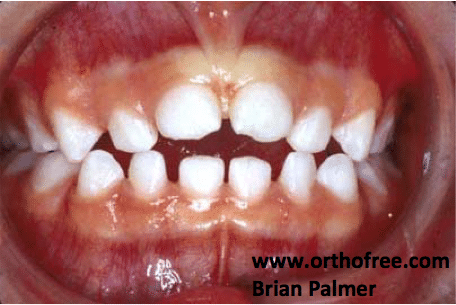 Anterior thrust: Upper incisors are extremely protruded and the lower incisors are pulled in by the lower lip. This type of thrust is most generally accompanied by a strong mentalis. Unilateral thrust: The bite is characteristically open on either side. 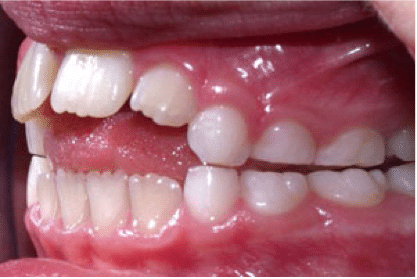 Bilateral thrust: he anterior bite is closed, but the posterior teeth from the first bicuspid to the back molars may be open on both sides. This is the most difficult thrust to correct. 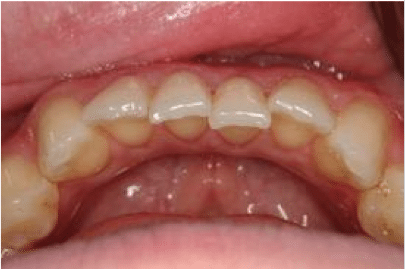 Bilateral anterior open bite: The only teeth that touch are the molars, with the bite completely open on both sides including the anterior teeth. A large tongue is also noted. 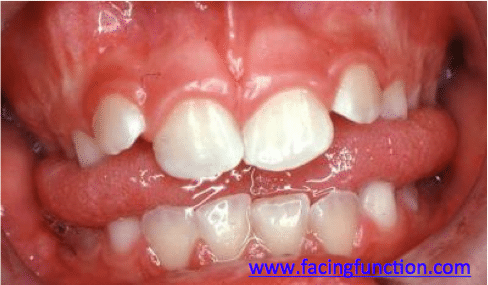 Closed bite thrust: Typically shows a double protrusion meaning that both the upper and lower teeth are flared out and spread apart. Infant tongue thrust and resultant anterior open bite. In this case the tongue thrust was due to a tight frenum. Tongue thrust with resultant anterior open bite malocclusion. 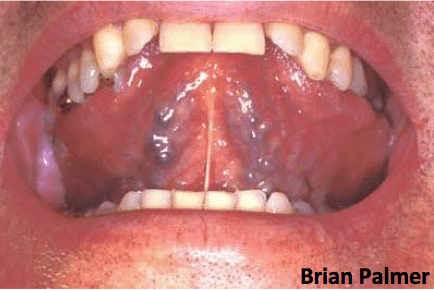 Adult tongue thrust created anterior open bite and caused gingival recession. Posterior open bite on left side due to a posterior tongue thrust. 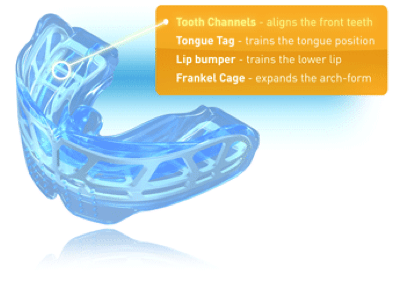 Adult tongue thrust created spaces and significant malocclusion. ng pattern. This method must be taught by a trained therapist. Therapy has proven to give the highest percentage of favorable results; however, the appliance is still used and is successful in some cases. 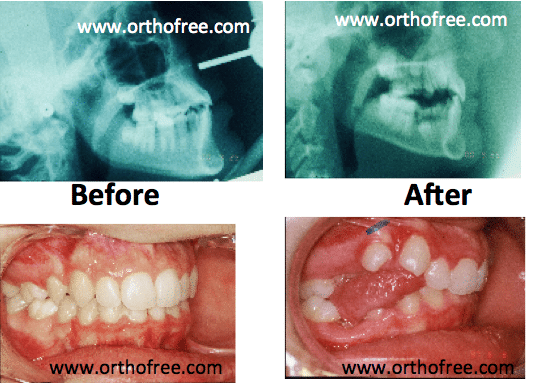 OrthoFree.com a Dental Community for Communication and information in orthodontics.